This Marc by Marc Jacobs Ladies MBM2547 Rock Chronograph Watch is an exquisite time piece features a gold tone steel bracelet with a white rubber coating. 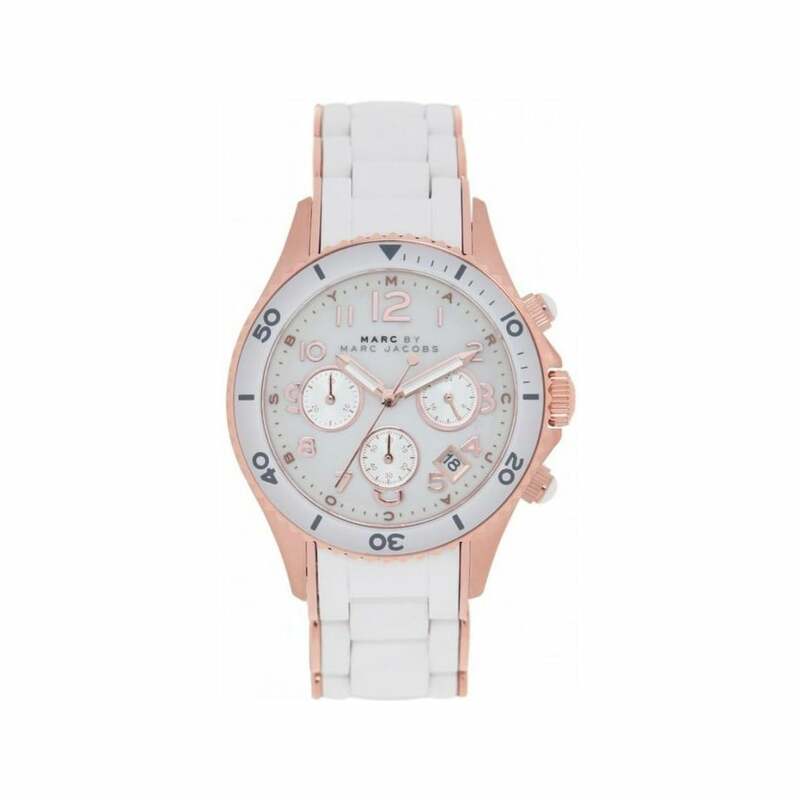 The stylish white dial is accentuated with rose gold detailing. Finished with a chronograph function and date display making this a wonderful watch for any occasion. Presented in a signature Marc By Marc Jacobs watch gift box.